Run, run, run … I took a leap of faith this week. 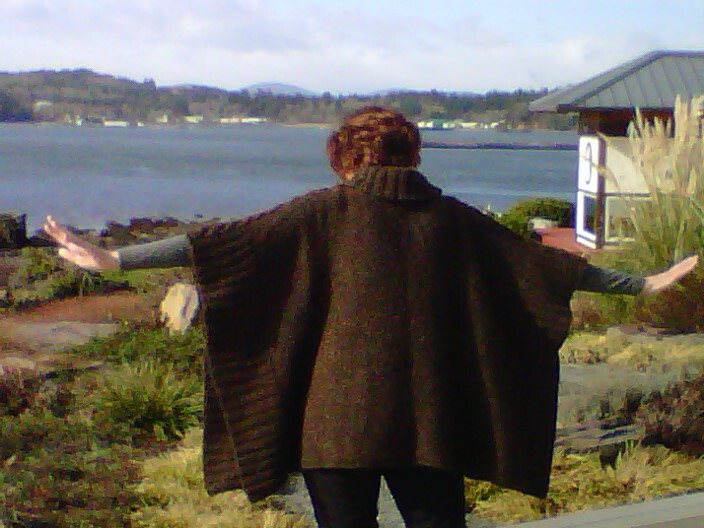 I published a new pattern Coffee Run… A yummy poncho. I made it because it was something that I wanted to wear. And there wasn’t a pattern like it, no biggy. Then.. I started wearing it, and posted some photos of it in my projects on Ravelry, and the requests for the pattern started happening on Ravelry, at my LYS, and even at the grocery store. So…….I wrote the pattern and put a price tag on the pattern. The first time I ever put a price on one of my patterns. Why not free you ask…..It takes time and effort to create a well written pattern. I took the time, tons of review, calculations, checking and double checking. I believe I created a well written pattern. You can tell me if I am wrong….I know you will. I also respect all others that are selling patterns and decided this pattern should earn it’s keep against other like patterns and not take away from my friends that sell patterns by being “free”. Enough of the soapbox, now for the fun! I love Coffee Run, I love the yarn, I love the style and I hope you do as well. Yarn 10 Skeins Rowan Alpaca Cotton , this is an Aran weight yarn that I knit one needle size up. Total 1480 yards. 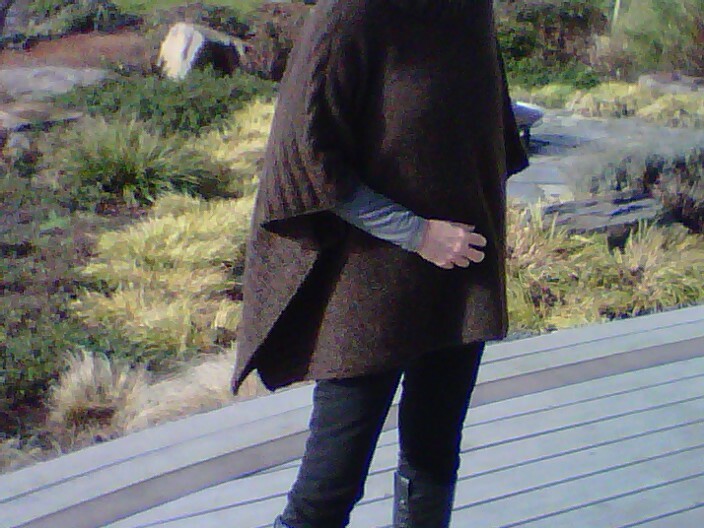 Poncho is worked sideways, knitting from sleeve edge to sleeve edge. It is also posted on Ravely, and you can purchase here…. buy now. 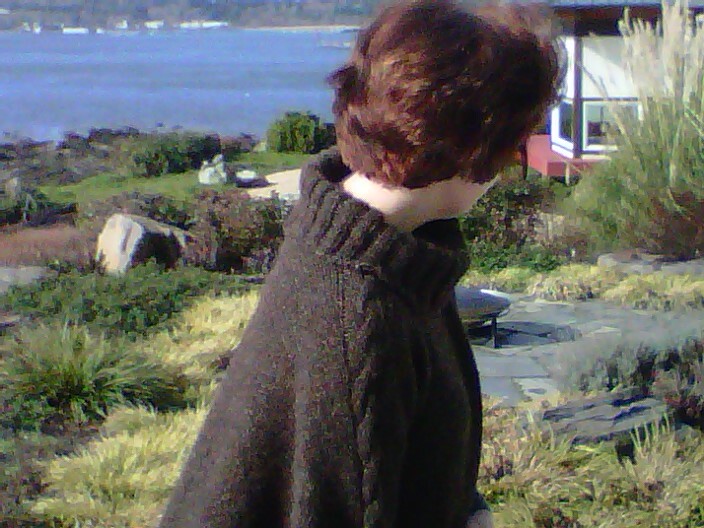 This entry was posted in Dragon Lady Knitting Patterns by osethney. Bookmark the permalink. Hi Prairie Grandma, I have posted additional details about the pattern on the web page as well as another photo that shows the front, no cabling on the front. You are knitting from sleeve to sleeve. Thank you for for the encouragement! 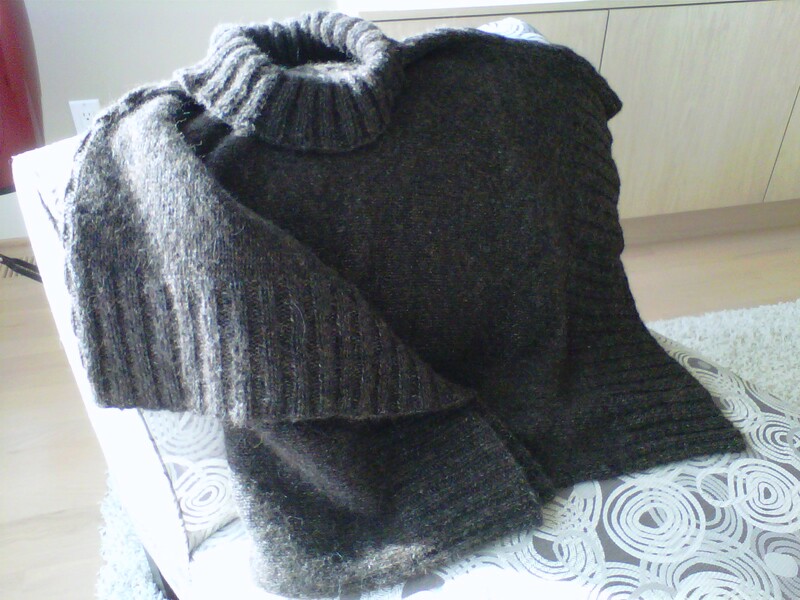 I have just finished all the knitting of “Coffee Run” and down to sewing the sides. How many inches did you do the running stitch to connect the sides? Under secton 4, YOU wrote “Remember to CTB on this side.” I don’t find any reference to CTB anther in the abbreviations. I love the pattern, hoping I have the skills to complete it. You will Cable to the Back, moving your stitches behind the group you knit. In the other section you Cabled to the Front. This will reverse you cable so each shoulder looks neat and nice. Thank you’re for the quick response.